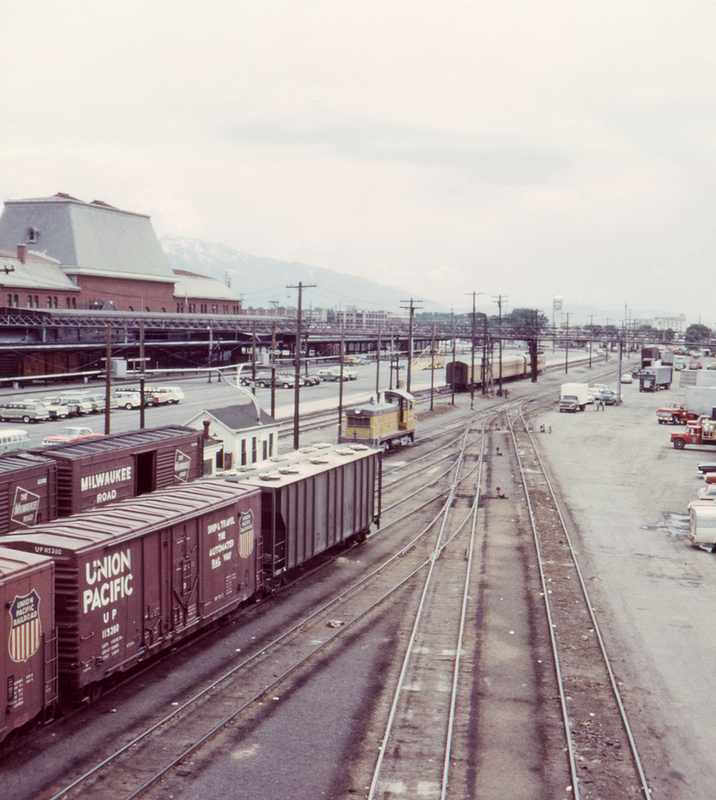 In 1970 the Union Pacific's Salt Lake City depot still saw a few passenger trains, including the combined City of Los Angeles Challenger/City of Kansas City (which split north of Denver to reach Chicago and Kansas City), and the Butte Special from Salt Lake City to Butte, Montana. At the extreme far right the Denver & Rio Grande Western/Western Pacific station is just visible, by now hosting only the Rio Grande's Rio Grande Zephyr. In less than a year Amtrak will eliminate all trains from the Salt Lake Depot, although the Rio Grande's station will eventually once again see the California Zephyr.